Alcohol addiction destroys families, damages health and negatively affects almost every aspect of life both of the addicts and their family members. However, there are many free options to get help in overcoming alcoholism in Wyoming. The alcohol abuse helplines listed below provide different kinds of assistance and emotional support for those suffering from substance dependence in the state. Delphi Health Group helpline representatives are highly qualified medical professionals entitled to provide overall assistance to those willing to put their alcohol addiction to an end. They are ready to help at any time of the day and night and offer the treatment options covered by the insurance of the callers. Another benefit of the hotline is the complete confidentiality. Call at the toll-free number (866)-520-2708 to speak with an agent and get free counseling, treatment advice, and information on alcohol addiction. 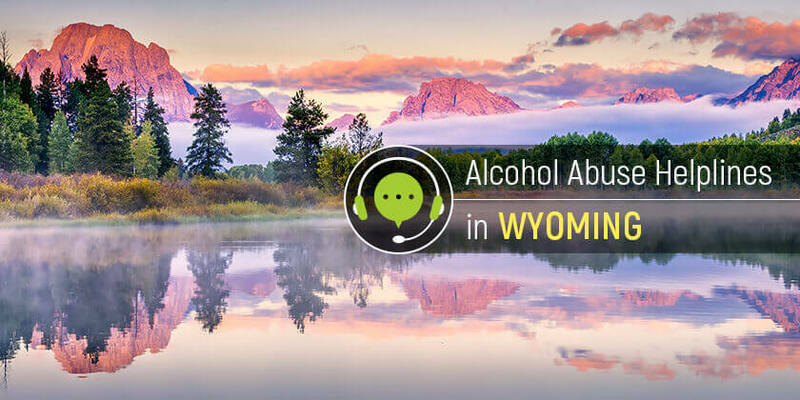 Through the Division of Behavioral Health, the Wyoming Department of Health connects callers to the community- and state-funded treatment programs as well as state-approved treatment facilities in the state. Call the Division at the hotline for alcohol and other substance abuse 307-777-6494 (toll-free number: 1-800-535-4006) to access these services. Get information on treatment programs available in Wyoming by calling the (SAMHSA National Helpline 1-800-662-HELP (4357). The government-based program is open for calls any time and requests can be made in English or Spanish. Alcohol addiction is a big problem, but it is treatable when the professional approach applies to the issue. Do not hesitate to ask for help. The short phone call can change a life for good.